Compact, robust 1 to 4 sensor design. Interchangeable batter packs yield up to 25 hours of nonstop operation. Easy Readability – The large, high resolution, top-mounted display cna be filled 180 degrees to improve readability in tight spaces. Preparation and access to safety equipment is what helps keep workers safe in the event an on-the-job accident occurs in a confined space. A quality gas monitor can easily tell workers when the air inside a confined space in unhealthy to breathe. 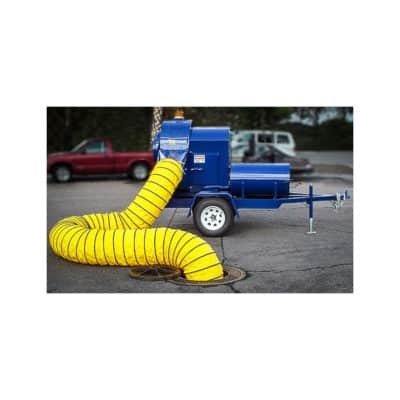 Each piece of confined space equipment serves a special purpose: to keep your employees safe while they get the job done. It’s easy to forget simple equipment like this, but depending on the job, gas monitors and other detection is very useful.